Known today primarily for his role in the development of the electromagnetic telegraph and his namesake code, Samuel Morse began his career as a painter. Created between 1831 and 1833 in Paris and New York, Gallery of the Louvre was Morse’s masterwork and the culmination of his studies in Europe. 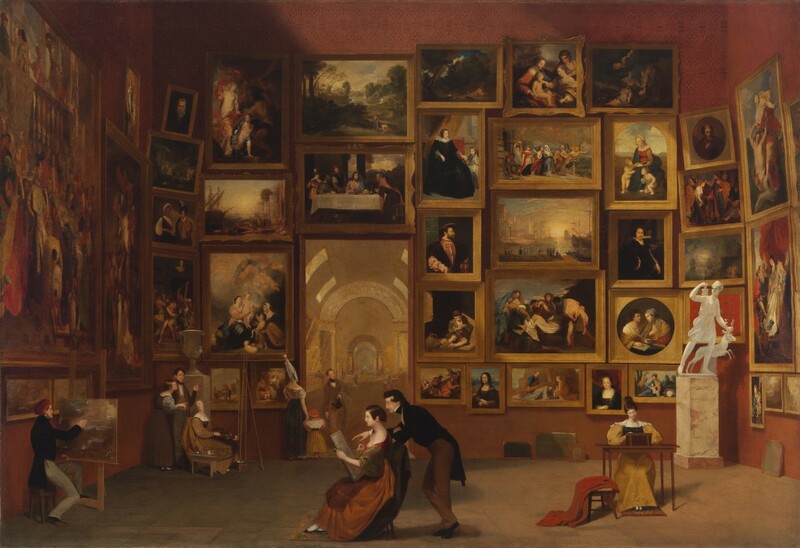 Morse’s “gallery picture,” a form first popularized in the seventeenth century, is the only major example of such in the history of American art. For this canvas, Morse selected masterpieces from the Louvre’s collection and imaginatively “reinstalled” them in one of the museum’s grandest spaces, the Salon Carré. The exhibition Samuel F. B. Morse’s “Gallery of the Louvre” and the Art of Invention, a Terra Collection Initiative, is accompanied by an anthology of the same title, published by the Terra Foundation and distributed by Yale University Press.